If you are in love with the beauty of oriental, Persian, and antique rugs, we understand. Here at Oriental Express, our love for specialty rugs is what drives our business. We specialize in rug cleaning services in Las Vegas that are geared toward keeping treasured rugs clean and pristine. Our professional rug cleaning services will carefully remove any dirt and grime from your ornate rugs without damaging the unique textiles. Whether you are investing in your very first oriental rug or you are adding to a vast collection, knowing where to add more rugs to your home is a must. Check out the following tips for choosing the perfect rooms for new oriental rugs and reach out today for professional rug cleaning services. 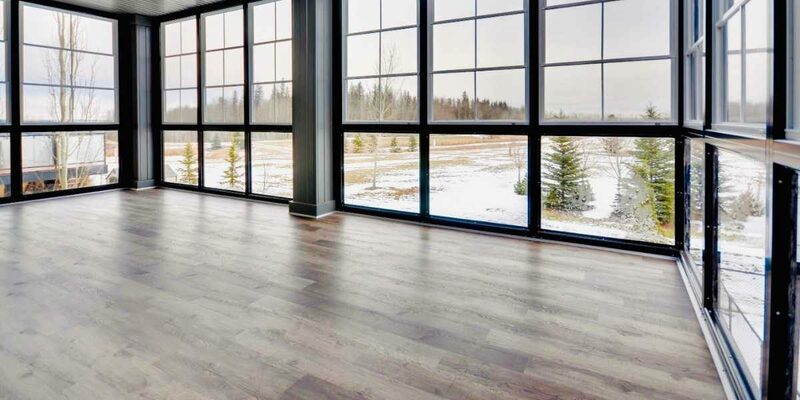 As you walk through your home and look for the ideal locations to place a new ornamental rug, consider the rooms that have cold and plain floors. Whether you have a kitchen with stained concrete floors or a dining room with hardwood, any room in your home that doesn’t have a soft carpet in place is ideal for the use of rugs. When you add a rug to a room with plain floors, you can brighten the space and add warmth to the area. This is particularly nice in bedrooms. Rather than wake up and step out of bed onto a cold, hard floor, you will enjoy the wonderful feel of a rug underfoot. While rooms with a hard floor are ideal for rugs, that isn’t to say a carpeted room is off limits. In fact, ornate rugs can make the perfect addition to a room that has less than spotless carpet. Rather than invest in new carpet for an entire room, you can simply add an oriental rug to cover up unsightly stains, spots, and damages. Walk through your home and take note of any rooms with damaged carpet. If the area is small and doesn’t warrant a complete recarpeting of the room, consider a rug instead. This will keep the carpet damage out of sight and will, instead, place a beautiful decorative piece on center stage. Do you have a small guest bedroom or office space that needs a little sprucing up? Adding a rug to small rooms can help add warmth to the space. This is a wonderful way to improve the appearance of a lesser used room without investing in a full remodel. It is incredible how much style and beauty a rug can add to a room. The end result will feel like you completely redid the space. Are you tired of the feel of your bedroom? Perhaps it seems outdated or lacking an extra touch of class or flair. Shopping for a rug can give your bedroom the perfect facelift. A rug is a simple piece to add to a room but offers a dynamic style. Place the rug directly under your bed to help it stand out or add the rug to a walkway in your bedroom to improve the flow of the space. However you decide to implement a rug into your bedroom, be sure you carefully shop for a style that will meld well with existing color schemes. Match the textile to the furniture in your room such as bed frames, dressers, and bedside tables. This will help ensure that the rug’s style does not clash with any existing decor. All of our previous tips have focused on the floors in each room of your home. However, oriental rugs have long been esteemed for their variety of decorative uses, including being hung on walls. If you have a large wall in your home that is blank and lacking in style, a rug could be the perfect fit. Be sure that you start by measuring the space. You want to ensure that there is enough room for the rug to hang fully with a little bit of wall border around it. Oriental rugs make a great addition to white walls or walls with subtle color. Avoid adding a decorative rug to a patterned wall or a wall featuring wallpaper of any style. This can cause the wall to seem too busy and will detract from the beauty of the rug. If you are investing in an oriental rug for your home, make sure you keep it clean and pristine so that it can compliment your home’s decor best. From routine vacuuming to full cleaning services, keeping your rug in quality condition is a must. Schedule professional rug cleaning services in Las Vegas with Oriental Express today. We look forward to helping you improve the style of your home with a beautiful rug.